The reason that I was unable to post on Thursday and Friday of last week was I was attending funerals, one on each day. West Indian funerals are different from English ones. In particular, they are attended by several hundred people, whereas for English funerals there are often no more than a handful of mourners, or at most a few dozen. (Funerals of public figures or particularly well known people are an exception.) For a West Indian funeral, everyone who knew the deceased is expected to attend; and those who did not know him or her personally, but know one or more members of the family, are under an obligation to attend in order to show respect. For funerals in London, special coaches are often laid on to bring mourners from Birmingham or Leicester. Other mourners fly in specially from the United States or the West Indies. For Friday’s funeral I did not know the deceased, a man in early middle age, but I do know his mother and so was happy to be there in her support. So now, at last, to phonetics — or rather to spelling and what it implies about pronunciation. Here is an excerpt from a tribute printed on the back cover of the service booklet. I will never hear you call me Marr again. In non-rhotic English English, Marr is a homophone not only of mar but also of Ma. All three are mɑː. 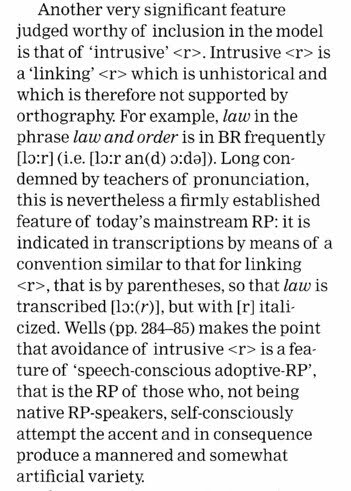 In the context of the following ə in again an r-link is to be expected: if the preceding word were indeed Marr we would call it linking r, but since it is properly Ma we would call it intrusive r. Misspelling Ma as Marr is entirely understandable. But that is not the end of the story. I do not know who typed up the service sheet, but I surmise that it was someone who grew up in England rather than in Montserrat. Since the deceased’s mother did indeed grow up on the island, I surmise that she herself did not pen the words in question. The reason is that in Montserratian local pronunciation Ma ‘mother’ is not actually a homophone of Marr and mar (insofar as this name and this word are known on the island). Montserrat English has a rule of Final Shortening. Although long vowels and short vowels are well distinguished, in final position historically long vowels become short. (Details here.) 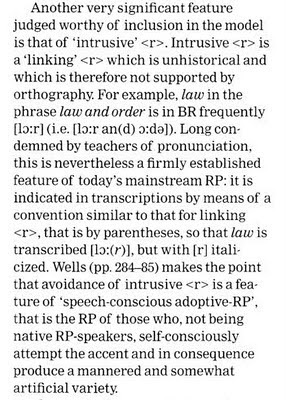 Crucially, however, this rule evidently operated historically before the deletion of final r.
Thus jaw dʒa has a short vowel, but jar dʒaː a long one. Similarly we have snow sno (short) but snore snuo ~ snoː (long), and bay be (short) but beer-bare-bear bia ~ beː (long). In Jamaican, on the other hand, (i) there is no across-the-board final vowel shortening and (ii) final r is retained. For someone who grew up on Montserrat it would not make sense to spell Ma as Marr. For a Londoner, it would. Yesterday I mentioned the ‘depressor’ consonants of Zulu and other Nguni languages. I have not read any recent scholarly literature on this subject, but the account in Wikipedia at least is very weak. So I thought it might be worth summarizing what I learnt of this topic in the “Introduction to Zulu” course I followed at SOAS some thirty-five years ago. It was taught by the late David Rycroft and A.B. Ngcobo. Zulu has two (or three) phonological tones: High tone (H), shown in the examples by an acute accent (´), Falling (F) (ˆ), and unmarked or Low. However the actual pitch contour of a syllable is affected by several additional factors, notably tone assimilation, depression, and of course intonation, downdrift etc. Assimilation: unmarked syllables standing between two marked ones adopt the same pitch as the previous H (subject to certain exceptions). Depression: a vowel following a depressor consonant, if H or F, begins with a rising-pitch onset and reaches a lower high point than would otherwise apply. If it is unmarked (low), it receives low pitch, overriding the Assimilation that would otherwise apply. Among the depressor consonants are the voiced obstruents, including the voiced clicks, but excluding the consonants written b and k, which are implosives ɓ, ɠ. There are paired depressor and non-depressor semivowels, glottal fricatives, nasals, and nasalized clicks. There is also a free-floating depressor effect characterizing certain vowel-only syllables. Rycroft claims the depressors all have breathy voice, and writes them d̤, z̤ etc. Auditorily, as already discussed, the greatest difference between the implosives ɓ, ɠ and the plain bh, g b̤, g̈ is the depressor nature of the latter but not the former. Here is a nice example of the depressor effect. 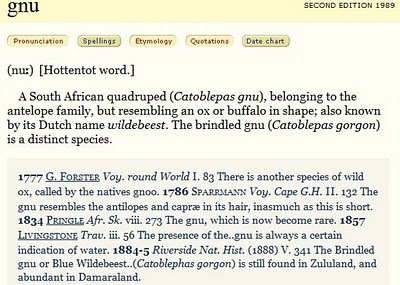 Zulu has borrowed the English word spoon, but has modified it so as to conform to the usual Bantu noun pattern of “classifier” prefix plus stem: isi-punu. (The s is taken to be the classifier isi-. The English p, unaspirated in this position, is duly mapped onto Zulu p̕ rather than onto aspirated pʰ.) Nouns that have isi- in the singular regularly form their plural by changing the prefix to izi-. Thus the plural prefix contains a depressor consonant, although the singular prefix does not. The English stress on a monosyllable is mapped onto Zulu H tone, with the result you see in the graphics, which are scanned from Rycroft’s duplicated teaching materials. Notice how the -si- syllable of the singular is assimilated to high pitch, while the depressor consonant in -zi- overrides that effect and causes low pitch. Here’s another of his examples. The words abantwana and amadada have the same tone pattern (H on the second syllable, otherwise unmarked). The pitch patterns differ in the third syllable: partial assimilation in abantwana aɓántwaːna but depression in amadada amád̤aːd̤a. In the word-by-word sound file of Thula Sizwe (blog, 15 Nov.), listen again to the first two words, thúla sízwe. Notice the assimilation of the pitch of unmarked -la to highish, but the abrupt drop to low pitch on -zwe caused by the depressor z̤. In úngabókhâla the g of the second syllable is a depressor, but not the implosive ɓ of the third. In úJehóva you hear the depressor effect of the dʒ and the v. And so on. For Rycroft’s analysis see his 1980 monograph ‘The Depression Feature in Nguni languages and its interaction with tone’, Communication No. 8. Department of African Languages, Rhodes University, Grahamstown. To bid farewell in Zulu you say salani kahle saláːni ɠaːɬé. Literally, this means ‘stay (pl.) well’, and is used when saying goodbye to people who are staying where they are as the speaker leaves. Cf hambani kahle hamb̤áːni ɠaːɬé ‘go well’, used if the addressees are leaving and the speaker is staying. See here. You will now be able to work out how the pitch patterns of the two expressions differ. Over the coming days I shall be busy elsewhere. Next blog posting: 22 Nov. 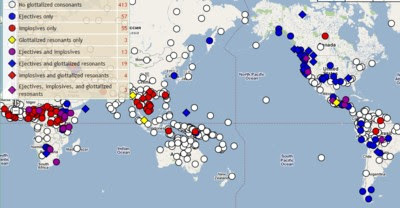 The graphic you see alongside is taken from Ladefoged and Maddieson's The Sounds of the World's Languages and shows aerodynamic data for a Sindhi word with ɓ. The comments on yesterday’s blog raise several interesting questions (ignoring for the moment those relating to Arabic emphatics). How does one pronounce a vowel that immediately follows an implosive? Is the airstream for the vowel also ingressive, or does it suddenly change direction to be egressive? The answer is that in every case — as far as I know — the vowel following an implosive consonant has an unremarkable pulmonic egressive airstream. Note though, that this means that not only does the direction of airflow change, but so in principle does the identity of the initiating cavity. Since voiced implosives (the usual kind) actually involve a combination of airstreams, we can say that in the sequence ɓa there is a constant pulmonic egressive airstream, but that in the first segment it is accompanied by a glottalic ingressive component. In a vowel-ejective-vowel sequence such as ap̕a the air flow is egressive throughout, but the initiating cavity for the consonant is glottalic — and takes place during a glottal closure, ʔ, that interrupts the egressive pulmonic airstream used for the surrounding vowels. Clicks have a velaric ingressive airstream, but this is always combined with a velar articulation that interrupts what is normally an egressive pulmonic airstream. So in aǀa (= old aʇa) we have an ordinary pulmonic-air sequence aka with the velaric ingressive operation taking place entirely during the hold phase of the velar plosive. Ejectives never cluster with implosives. The ingressive pulmonic airstream mechanism appears always to characterize entire utterances rather than individual segments. Reverse clicks are only paralinguistic: they certainly never cluster with ordinary clicks. So we can formulate the universal that we never get an abrupt reversal of the direction of airflow within the same initiating cavity as we pass from one segment to the next in speech. Ejectives can evolve into implosives or pharyngeals and back again, can't they? 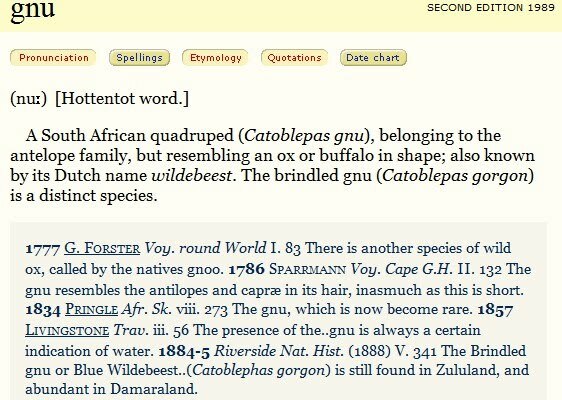 The most striking related instance of which I am aware is in the Nguni languages of southern Africa. There we find a regular correspondence between the z of (isi)Zulu and the ejective t̕ of the closely related (si)Swati. We see this in the name of the latter language, which is also known by its Zulu name of Swazi. in which all four instances of Zulu z correspond to Swati t (= t’). It may be relevant that Zulu z is a ‘depressor’ consonant, one of the set that cause the pitch of the following vowel to start lower than it would otherwise do. That perhaps provides a link to the change at the glottis, but the possible pathways of change still seem pretty obscure. Perhaps someone knowledgeable about proto-Nguni can comment. Or, mutandis mutatis, of some other relevant language family. Implosives are sounds made with a glottalic ingressive airstream mechanism. 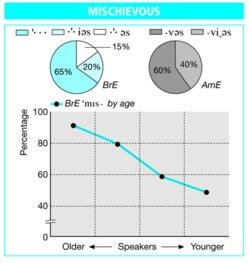 Along with ejectives (glottalic egressive) and clicks (velaric ingressive), they are a sound-type taught to all serious students of phonetics. Every year at UCL I trained budding phoneticians not only to recognize them but also to produce them to order. Most of the implosives found in the world’s languages are voiced. That means that the rarefaction in the pharynx and mouth (the glottalic ingressive mechanism) is combined with a simultaneous vibration of the vocal folds dependent on a pulmonic egressive airstream. Interestingly, in my experience learners generally find this combined airstream easier to produce than the purely glottalic one that is needed for voiceless implosives. But does what we teach in the classroom agree with what we find in real languages? Just over a year ago I wrote about the Zulu song Thula sizwe (blog, 8 Sep 2009). Now Catherine Paver, in a very late comment on that posting, has drawn our attention to a website called “Sing Africa!”. Thank you! This site contains the words and music to a number of South African songs — Zulu, Xhosa, and Sotho — along with sound clips comprising not only the complete songs but also slow demonstrations of the authentic pronunciation of each word in turn. The implosives are only very mildly implosive and the main auditory difference between them and the plain voiced plosives is that plain [b] and [ɡ] are depressors, while weak-implosive [ɓ] and [ɠ] are not. In singing, though, such tonal subtleties are naturally lost. In the word-by-word clip of Thula sizwe, listen to uŋgabokhala uŋɡaɓɔˈkʰala, the third word in the song. That’s what a bilabial implosive ɓ in this real language sounds like. The “implosiveness” is much less than in the exaggerated versions we tend to get in the classroom. Mea culpa, perhaps. We see the same thing in the last word, uzokuŋqobela uzɔɠuˈŋǃɔɓɛla, with both velar ɠ and bilabial ɓ. The implosives of Sindhi seem to be similarly weak. I wonder if there are any languages with really strong, noisy implosives. sɪ ˈɡɑː(r), guitar ɡɪˈtɑː(r), and divide dɪˈvaɪd that have a syllable-final weak vowel ɪ with no tenser variant. A particularly interesting candidate minimal pair is dissent vs. descent. The first is morphologically dis + sent (compare as+sent, con+sent), with regular lexical simplification of underlying double s. The prefix dis- is pronounced with ɪ (except in Australian-type accents where the only weak vowel allowed in this environment is schwa). The second is morphologically de + scent (compare as+cent). It has the regular weak prefix de-, which for the reasons discussed this week I write in the third edition with i. These entries are based on my supposition that there are people for whom the two words are not homophones. It is possible, though, that I am wrong in this supposition. Perhaps I ought to test it out in the next preference survey I conduct. If on the other hand I retain bi-, di-, pri-, ri-, there are certain cases which still need discussion. Those that worry me sometimes are se- and e-. In secure, seduce etc. I give only sɪ- (or sə-). Likewise in event. On the other hand Michael Ashby persuaded me that I ought to transcribe eleven with i-, though there e- is not a prefix. The pair diffuse (v.) — defuse is interesting. Although I use strong ˌdiː- in the second myself, so that they are not homophones, many other people weaken the de- and not only pronounce the two words identically, dɪˈfjuːz, but get the meanings confused. While traditionally to diffuse is to spread and to defuse is to render (a bomb) safe, you do sometimes come across references to “diffusing” a tense situation. I would write “defusing”. I have always tried to make sure that the entries in LPD are based on objective observation of usage as well as on my native-speaker intuitions (and, in some cases and to a minor extent, on what other reference books assert). But I too am human, and it is possible that I have sometimes got things wrong. The same arguments apply, mutatis mutandis, to the -s ending: taxi — taxis, compare taxes, taxers. I also leave the i transcription unchanged when suffixes such as -ness (shabbiness, holiness) are added. The suffixes which for many speakers — it seems to me — clearly do affect final i by changing it either to ɪ or all the way to ə are those involving the lateral: -ful, -less, -ly. So beautiful has -əf- or more conservatively -ɪf-; merciless likewise; and angrily ends in -əli or -ɪli. This is seen most dramatically when steadily and readily are pronounced with lateral release plus syllabic l̩, for which the rule of syllabic consonant formation requires a schwa input. As I see it, the synchronic phonological derivation of this variant has to be ˈstedili → ˈstedəli → ˈstedl̩i. Likewise penniless → ˈpenl̩əs. Why do I write -ɪ-, -ə- in polythene but -i- in polytheism? Not because of some general principle, but because it is my impression that people treat them differently. Am I wrong? Similarly with various other supposed “inconsistencies”. Ultimately, every word has its own pronunciation. Still more on this tomorrow. 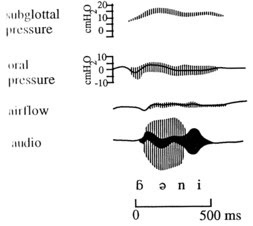 types of plosive release (n, l). The old convention, by which ʃs denoted an s-like variety of ʃ, is no longer recognized. Nor is the use of ʳ (or ʴ or ʵ or ʶ) for an r-coloured vowel. In LPD I use raised symbols to denote optional sounds that the EFL learner is advised to ignore (“although native speakers sometimes include them” — see the panel on Optional Sounds, p. 567 in the third edition). possible epenthetic schwa before a liquid, thus fail feɪəl. Speech is sounds, vibrations in the air arising from movements of the human organs of speech under the control of the brain/mind (or of an electrical device simulating this). Sounds can be heard, but not seen directly. Writing is marks on paper or some other surface, or patterns of light and dark on a screen. Letters can be seen, but not heard directly. It is incredible how difficult people find it to grasp the difference. Several times last week, in our discussions of pronunciation, interviewers or commentators raised the matter of text messaging and the innovative spellings associated with it. But that is not speech! Other than occasional initialisms such as lol spoken aloud as lɒl, txtng has nothing at all to do with pronunciation. It is a matter of writing, not speech. Other commentators, under the heading of pronunciation, complained not only about “text talk” but also about misplaced apostrophes. Apostrophes, whether misplaced or not, are not part of speech. They are part of our writing system. Why don’t people get it? Even highly educated journalists? 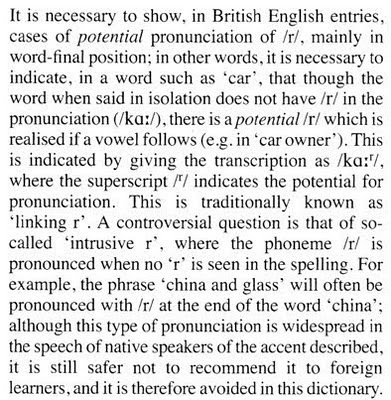 Perhaps one reason for the confusion is the common sense of ‘pronounce’ in the sense of ‘say letters aloud’ (er... you can’t actually do that), i.e. ‘say the sounds corresponding to written letters’. The letters ng are pronounced ŋ, or sometimes ŋɡ or ndʒ. Spanish has a letter ñ, which is pronounced as a palatal nasal. But this rests on the fallacy that writing is primary, speech secondary. It implies that when we speak we are merely supplying sounds appropriate to the written form of the words we use. If that were so, how could the illiterate ever speak at all? How is it that children learn to talk before they learn to read and write?